The Maryland Transportation Authority (MDTA) Police is nationally accredited and is the seventh-largest law enforcement agency in the State with more than 600 sworn and civilian professionals. 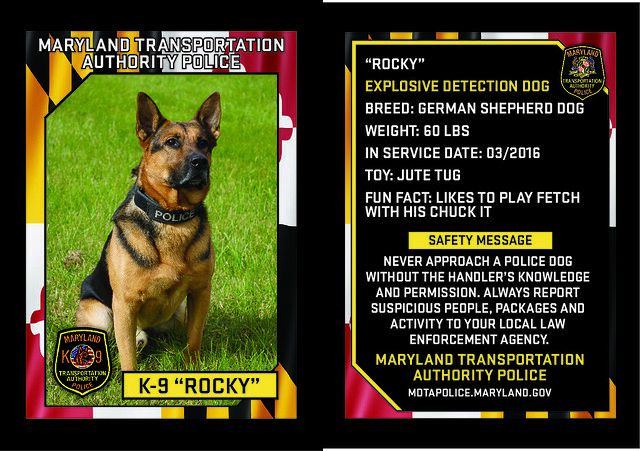 The MDTA Police are responsible for law enforcement at the MDTA's highways, tunnels and bridges; the Baltimore/Washington International Thurgood Marshall Airport and the Port of Baltimore. The first step in joining the MDTA Police is to submit an online application. Applicants will select their own processing event date from the application. Processing events are conducted by the Recruitment and Selection Unit and will last approximately four hours. We provide Safety, Security and Service to the people who use and work on MDTA facilities and other vital transportation assets located throughout Maryland. In Maryland, to report suspicious or potential terrorist activity toll free, 24 hours a day, please call 1-800-492-TIPS.